From time to time, people ask me about visualizing knots in Maple. 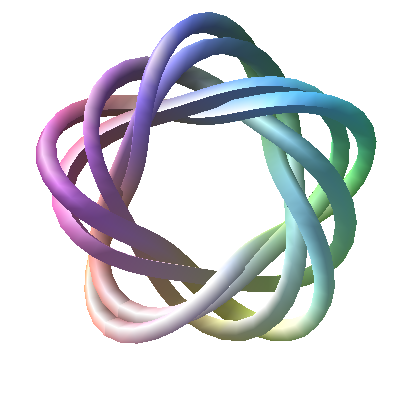 There's no formal "Knot Theory" package in Maple per se, but it is certainly possible to generate many different knots using a couple of simple commands. 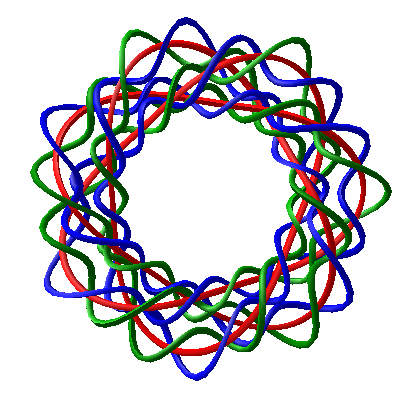 The following shows various examples of knots visualized using the plots:-tubeplot and algcurves:-plot_knot commands. Where n[x], n[y], and n[z] are integers and the phase shifts phi[x], phi[y], and phi[z] are any real numbers. 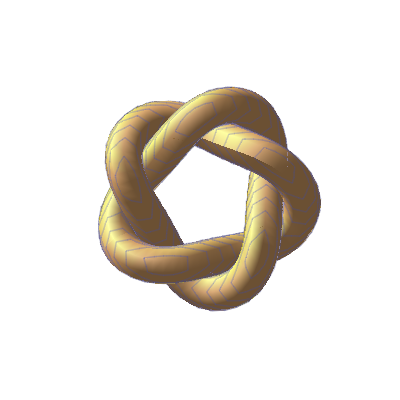 Please feel free to add more of your favourite knot visualizations in the comments below!